Network of Vietnamese Bloggers - During the past weeks, representatives of the Network of Vietnamese Bloggers (NVB) have eventually met, and submitted the Statement 258 to, representatives of UN Human Rights Council, human rights organizations, and international press. The following series of articles, gradually published in the coming days, recount the meetings. 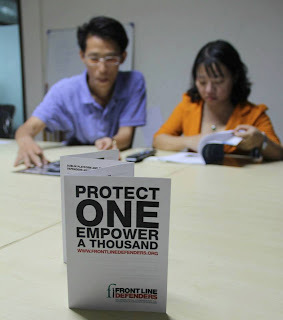 At 4 pm on August 1, 2013, in Bangkok, Thailand, representatives of NVB including Pham Doan Trang (Hanoi), Nguyen Thao Chi (Saigon), Nguyen Nu Phuong Dung (Saigon), Nguyen Anh Tuan (Da Nang), Nguyen Lan Thang (Hanoi) met with representatives of Front Line Defenders (FLD) in the office of Prachathai – a leading opposition newspaper in Thailand. The Vietnamese bloggers informed FLD about the current situation of freedom of speech in Vietnam, the escalating crackdown on bloggers and writers - typically, the latest arrests of blogger Truong Duy Nhat and Dinh Nhat Uy, and writer Pham Viet Dao. The agenda focused on Article 258, the violations of human rights that have been legalized in Vietnam, and the campaign of the group seeking the elimination of Article 258 during the time Vietnam competes for a membership in the UN Human Rights Council for the 2014-2016 session. Along with the presentation of Statement 258, the NVB representatives also discussed with FLD about the long-term cooperation in the future to jointly improve the human rights situation in Vietnam. Specifically, FLD will support Vietnamese bloggers to forward documents to UN and human rights organizations and provide training courses on information security for bloggers in Vietnam. On this occasion, representatives of FLD also presented its Vietnam related activities in recent years and expressed its deep concern in the case of blogger Nguyen Hoang Vi, who had been beaten for participating in “Human Rights Picnic” and distributing the popular Universal Declaration of Human Rights. Recently, Vi has been hospitalized for treatments and improving her health after police attacks. 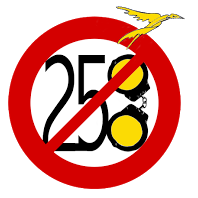 Representatives of FLD promised to issue a statement to formally object Article 258 and lobby other human rights organizations to raise their voice as well. FLD will also make research and organize courses on information security for Vietnamese bloggers. 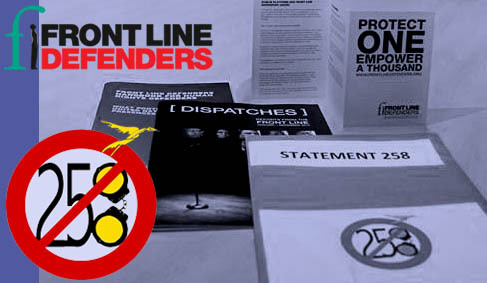 Front Line Defenders is an international organization, founded in 2001 with the primary objective of protecting the activists those who advocate for human rights around the world and are facing with danger and threat. In recent years, FLD worked closely with a number of Vietnamese bloggers to exchange information, present to the world the human rights violations in Vietnam, and support a number of bloggers those who were assaulted and have faced with difficulty in getting treatment. The meeting took place in a friendly atmosphere. Representatives of FLD delighted with the opportunity to meet in person with Vietnamese bloggers. Meanwhile, the young Vietnamese bloggers were very excited to have the opportunity to represent their friends and other bloggers to express their unified voice. Through the meeting, the two parties understood each other's operational status, agreed on the status of human rights violations in Vietnam, promised to help each other to promote and improve the human rights situation in Vietnam as well as advocate for freedom of speech of Vietnamese bloggers. Network of Vietnamese Bloggers will continue to report on the recent meetings with other international organizations. Còn nhiều thử thách ngày mai đợi chờ. Tự Do--Nhân Quyền--Dân Chủ cho Việt Nam. For Network of Vietnamese Bloggers.